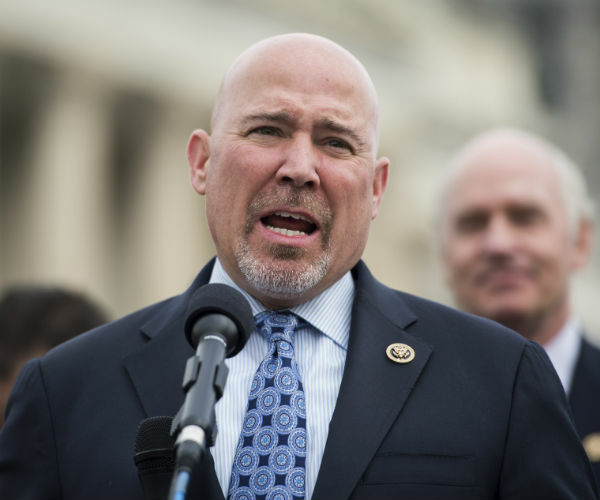 Earlier this month, Rep. Tom MacArthur presented an amendment to the American Health Care Act to secure broad Republican support. And this week, Rep. Mark Meadows declared the Freedom Caucus’ support. But conservatives in the party should not be fooled: MacArthur’s replacement plan, “Trumpcare 2.0,” is a Trojan Horse. It comes as a gift, filled with options for states to opt out of some Obamacare rules. But it leaves the Affordable Care Act — better known as Obamacare — comfortably in place while Congress gets to grandstand. While MacArthur’s plan may seem to have some constructive changes at first glance, the proposed measures would keep the worst parts of the ACA. One of the key provisions would shift the responsibility for decisions on healthcare standards to the state level. That means states could choose to opt out of the rules on “essential benefits” and “community ratings” by getting a federal waiver. But there’s a catch. The default for states will be the same as it is now—keeping the ACA’s federal standards. Nobody wants to be the bad guy and take away popular rules. But Congress made this mess, so they need to clean it up. Representatives like Rep. Amash fought the last version of Trumpcare, and they can do it again. The proposed provisions include a waiver program that lets states opt out of “essential benefits” — the ACA’s federally-mandated services healthcare providers must offer. That includes a laundry list of items individuals have to pay for, like maternity care and substance abuse care — even if they’ll never use either service. Another provision is a waiver for “community ratings,” the flip-side of the pre-existing conditions coin. The well-known “pre-existing conditions” clause of the ACA asserts that individuals with these conditions must be granted coverage. The community ratings clause says that this coverage cannot cost more than coverage for than any other person. But under this measure, healthy citizens who often can’t afford an increase must pay far more to support individuals who are already sick — effectively paying for more services than they’ll ever use. Both of these waiver programs seem great at first. States would be able to opt out of essential benefits and community ratings. By eliminating excessive standards and burdensome regulations, states would bring premiums back down to affordable levels. But there’s a problem — many states probably won’t do it. Repealing rules is hard work. By delegating to the states, Congress gets to avoid the difficult decisions. There’s a good chance that states will choose to stick with the option of more government — just like when Medicaid expanded. Congress needs to take a stand and fight for a bill that repeals the ACA’s measures nationwide. Obamacare has done enough harm already, and lawmakers can’t stand by and let it continue. The ACA is killing Michigan in particular. Humana, the third-largest state provider, is raising premiums by 39.2 percent this year alone. Every single insurer is raising rates this year at an average of 16.7 percent, with no signs of slowing down. That means a family paying 5,000 annually for health premiums will be paying an extra $835 this year — $1,960 if they were unlucky enough to be with Humana. That is unsustainable. The proposed replacement bill won’t help these skyrocketing premiums. The Great Lakes State refused to opt out of the ACA’s Medicaid expansion, and there’s no reason to believe we’ll opt out of Obamacare’s harmful regulations should Trumpcare 2.0 pass. Any bill that doesn’t overturn the key ACA provisions, especially mandates on essential benefits and community ratings, won’t help Michiganders tackle their skyrocketing monthly healthcare costs. While the first draft of the American Health Care Act was defeated with the help of our own Rep. Amash last month, the GOP isn’t out of tricks to avoid repealing the ACA. The new proposal from Republican leadership pretends to hand conservatives a gift, but they keep everything that has made healthcare prices skyrocket. It’s time for our elected leaders to keep their promises and finally repeal Obamacare. They can’t shift responsibility to the states forever. Noah Weinrich is a junior studying Politics at Hillsdale College. He is a Young Voices Advocate. PAY ATTENTION CONGRESS: REPEAL IT. DO NOT REPLACE IT. GET RID OF ALL THE REGULATIONS THAT WENT WITH IT. What's so hard about this concept???????? The IRS needs to get out of this fiasco too. Repeat: REPEAL NOBAMA CARE and DO NOT REPLACE. You want insurance fine--you buy it. It's bad enough that at age 65 Medicare is forced upon us, whether you're getting social security or not. I'm sick of it. REPEAL AND DO NOT REPLACE. The bill will say something like: Congress hereby repeals ALL aspects of the ACA retroactive to 1/1/16. The IRS may no longer maintain any records in this regard and any penalties paid for 2016, immediately be refundded to the taxpayer. No how hard is that? The United Nations "Special Rapporteur on the right of everyone to the enjoyment of the highest attainable standard of physical and mental health" is threatening President Trump and Republicans who oppose Obamacare! Dainius Pūras has found the threatened repeal of Obamacare to be a violation of international law and racist, as well. He speaks on behalf of the UN Human Rights Council. The UN HRC includes such stalwart defenders of human rights as China, Congo, Cuba, Ethiopia, and Saudi Arabia. I found this to be an interesting read with two major exceptions; the first being the "Trumpcare" moniker. This is something that I hear very frequently when lurking around the other side. There has been a lot of spin made on this recently regarding what Pres. Trump has said that he would or would not do. So to clear up any misconceptions, the first few seconds of this clip should dispel any confusion on that fact toot sweet. The real problem here lies solely on Speaker Ryan and a loosely organized group of squishees who love the job title (along with the pay and perks), but hate doing any work that comes along with it. The second has to do with the fallacy that repealing anything to do with Obamacare is really hard. There are two bills just sitting in the hopper right now to do exactly just that. The hilariously misnamed "ACA" and everything that came about because of it (especially those pesky rules and regulations)...all gone with one quick and simple vote! What we're seeing here is people trying to play both sides of the fence while staying in office. If those elected officials want the job (and keep it), they need to be reminded that making tough decisions is part of the job description. Do you P.O. the voters who actually put you in office, or do you P.O. those with deep-pockets who want to continue with the status quo?